Why See Los Angeles Azules? 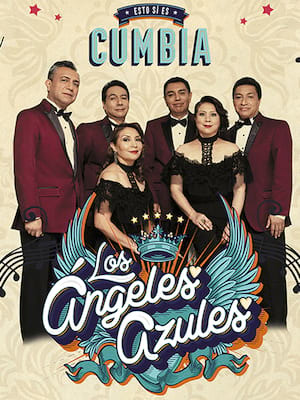 Los Angeles Azules brings the true sound of Cumbria music to cities across the US in their latest tour. Formed in Mexico in 1975 this family affair have been making music and touring together for the last 40 years. In 2001 they celebrated their 20th anniversary in true style with getting nominated at the Billboard Latin Music Awards. Cumbria music is a blend of musical genres from the Caribbean coast of Columbia and Panama, Los Angeles Azules mix up this traditional style with their own blend of Cumbria with some high funk disco! 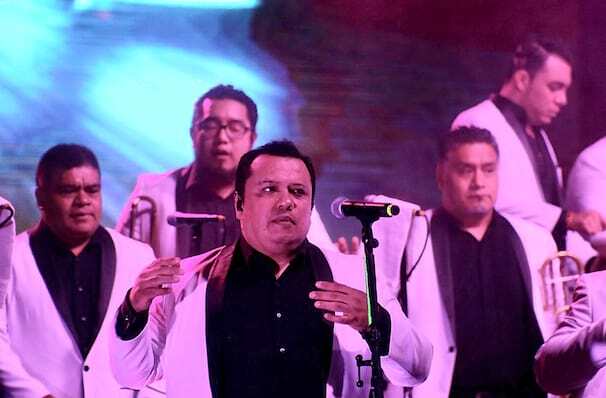 Get ready to party and groove the night away when Los Angeles Azules come to your town. Seen Los Angeles Azules? Loved it? Hated it? Sound good to you? Share this page on social media and let your friends know about Los Angeles Azules at Hollywood Palladium. Please note: The term Hollywood Palladium and/or Los Angeles Azules as well as all associated graphics, logos, and/or other trademarks, tradenames or copyrights are the property of the Hollywood Palladium and/or Los Angeles Azules and are used herein for factual descriptive purposes only. We are in no way associated with or authorized by the Hollywood Palladium and/or Los Angeles Azules and neither that entity nor any of its affiliates have licensed or endorsed us to sell tickets, goods and or services in conjunction with their events.